Here is an article written by one of the most successful copywriters of the last 20 years – his name is Clayton Makepeace. Every part of your sales message is important. Your opening is crucial. Your presentation of product benefits … of proof and credibility elements … of the offer and premiums … of your guarantee … and of your closing “ask-for-the-sale” copy are all critical. But of all the things you do to produce a sale, nothing equals your headline when it comes to pushing response through the roof. In my 33 years in this business, I’ve seen great new headlines produce 25%, 35%, even 45% lifts in response and ROI. Second, your headline is the gateway to your sales copy. It is what persuades your prospect to read your sales message. When you study the most effective headlines ever written, you can’t help but notice that they accomplish these twin tasks by offering the reader a BRIBE – a strong benefit in exchange for reading the sales message. Allow me to show you three of the most powerful headline techniques ever – approaches that have produced huge winners for the big shots (and, yes, for me too). Once upon a time, pure benefit headlines were all the rage. And they worked. But today’s prospects are being offered identical benefits by dozens, scores, or hundreds of competing advertisers. Unless the benefit you’re offering is truly unique – or presented in a very unique and intriguing way – you’ll need to do more than just present or imply a benefit. 2. Pure emotion heads directly address the emotional need, frustration, or fear that the product’s primary benefit addresses – only hinting at the practical benefit. Pure emotion heads have worked very well for me. But ONLY when they are followed immediately with a strong presentation of the benefits that are being promised. 3. Combined benefit/emotion heads present the product’s chief benefit and either imply or state the emotional payoff for the reader. 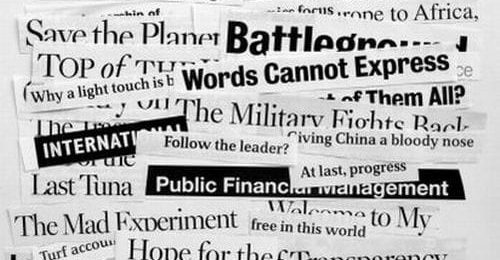 Regardless of whether your headline is pure benefit, pure emotion, or a combination of the two, there are dozens of ways to give it greater selling power. Present a proposition: Great propositions make a statement that the reader already believes and tantalize him with the implications of that statement. Propose a transaction: Transaction heads add credibility to your promised benefit by disclosing that you’re asking something from the reader in return. Use specificity to create credibility: Include specific facts or connect your headline to a current news event. Get the prospect’s natural curiosity working for you: Intrigue and curiosity heads tease the benefit or begin the conversation by telling a fascinating story. 1. Does your headline offer the reader a reward for reading your sales copy? Spend 15 minutes on it … and I’ll bet you come up with something great! – He built three investment newsletters – The Money Advocate, Personal Health Bulletin and Safe Money Report – into the largest of their kind in the world.